The prospect of an all-Ireland soccer team was dramatically raised by the 26-County Taoiseach Enda Kenny at a sports reconciliation conference in Armagh City this [Friday] morning. Mr Kenny caused a major surprise when he called for charity matches between a 32-County Ireland team and England. He suggested the money raised from the games would be used to help fund new children’s hospitals in Dublin and Belfast. Also attending were officials from the Irish Football Association (IFA), the Gaelic Athletics Association (GAA) and the Ulster Rugby Football Union. The Taoiseach made clear that he did not believe the creation of a permanent all-Ireland soccer team was currently possible, but that charity games were. Dublin officials later said that the idea would need some development, particularly as England’s involvement may require some of the funds from the proposed games going to English charities. Mr Kenny suggested that the games should take place twice a year, alternately in Croke Park or Wembley. Officials said this idea would need further elaboration, and that annual games might be more likely. “We have two children’s hospitals in Belfast and Dublin. Wouldn’t it be wonderful when you can’t have all-Ireland soccer teams playing in international competitions that perhaps on a biannual basis there would be a charity match played in Ireland and in England,” Mr Kenny later explained to reporters. “A charity match for a really good purpose I think would be attractive to everybody,” he added. Proceeds could go to the two children’s hospitals on the island of Ireland, he said. Mr Kenny suggested that British prime minister David Cameron could support his idea while stressing that it would be a matter for the soccer sporting bodies in the South, North and England, and also for the GAA in relation to having Croke Park as a venue. 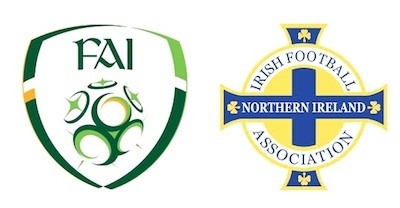 The president of the IFA, the soccer association in the North of Ireland, said the suggestion “came out of the blue. It’s probably one for tomorrow and when we get there we can debate it and discuss it,” he said. Sinn Féin spokesperson on Sport, Sandra McLellan welcomed the call. “The argument for an All-Ireland Soccer team is unanswerable,” she said. “It would be in the interests of soccer development in Ireland and would give the best Irish players a better opportunity to play at international tournaments, and would create a more competitive team for international competition. She said her party had long been of the view that there is no need for two different international teams “on one small island like ours” and that one international team is in everyone’s interest. In 1973 an all-Ireland soccer team, a ‘Shamrock Rovers XI’, came together to play Brazil at Lansdowne Road featuring the likes of Pat Jennings, the incoming Ireland manager Martin O’Neill, Johnny Giles and Don Givens. They lost 4-3.